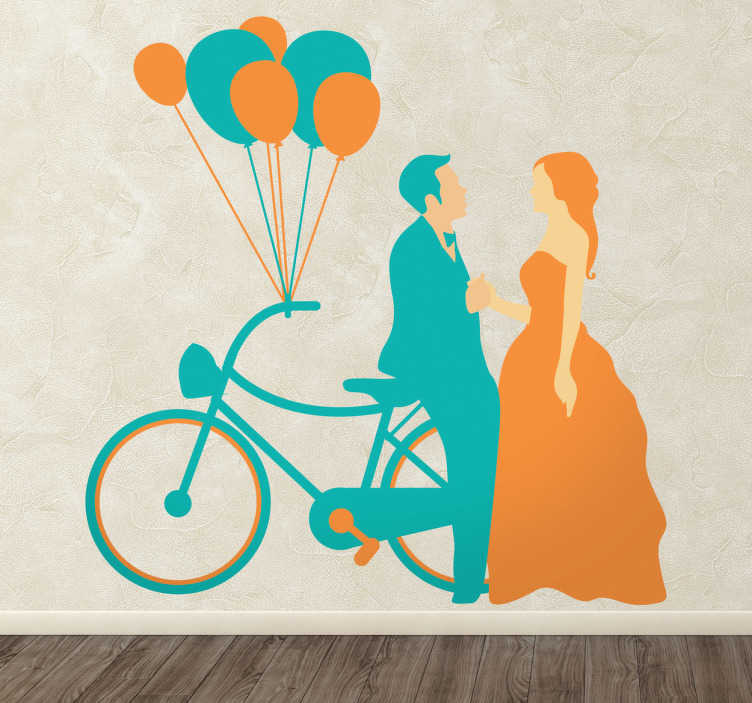 From our collection of wedding inspired wall stickers, a silhouette design of a recently married man and woman next to a bike with some balloons attached to it. A sweet and romantic wall decal of a bride and groom together on their wedding day sharing a special moment. Ideal for decorating your wedding reception in a fun and original way. Impress your guests with this great wall sticker. Easy to apply to any flat surface and remove without leaving any residue behind. Made from 100% high quality and anti bubble vinyl.